What happened to lithium in Q1 2019? Our lithium market update outlines key developments and explores what could happen moving forward. Interest in what may happen in the lithium space continues to increase with the popularity of electric vehicles (EVs) growing at an unstoppable speed. Despite stocks and prices not performing as well as many expected, analysts remain optimistic about the market. Demand for the metal is forecast to triple by 2025, as demand for lithium carbonate and hydroxide, used in lithium-ion batteries, continues to increase. How did the metal perform in the first quarter of 2019, and what’s ahead for lithium in the near term? Read on for an overview of the factors that impacted the lithium market in Q1, plus a look at what investors should watch out for the rest of the year. It’s been a busy start of the year for the lithium market, with major announcements and deals from lithium producers as well as junior miners. During the first three months of the year, top producers released their quarterly and yearly results, with all pointing out that demand for lithium is getting stronger. US-based Albemarle (NYSE:ALB) said in its 2018 report that it is not forecasting any significant macroeconomic headwinds and has not seen any decline in its customer demand forecast. In fact, the company expects global lithium demand to grow 21 percent annually, with the market remaining tight for years. Another top producer, Livent (NYSE:LTHM), which separated from FMC (NYSE:FMC) last year, also said in Q1 that it expects revenue growth in 2019, driven largely by higher volumes and a stable pricing environment. “The fundamental drivers of demand in our industry continue to be positive,” said Paul Graves, president and CEO of Livent. Chile’s SQM (NYSE:SQM) is also positive about long-term demand going forward, despite the potential impact new projects coming into the market could have on short-term demand. “Demand rose in 2018, surprised us again by surpassing 27 percent, and is expected to grow at rates above 20 percent in 2019,” CEO Ricardo Ramos Rodriguez said in an earnings call. With SQM and most majors planning for at least 1 million tonnes of lithium carbonate equivalent demand by 2025, battery metals expert Chris Berry of House Mountain Partners told the Investing News Network (INN) that it is going to be really tough for the industry to get to that level. “Broadly speaking, if there is a bullish takeaway from the earning season, [it’s] that the demand is still there despite some of the challenges we have seen on the pricing side,” he said. According to Benchmark Mineral Intelligence, if full battery megafactory capacity is achieved, demand could increase by over eight times, rising to 961,351 tonnes by 2023 and 1,570,020 tonnes by 2028. 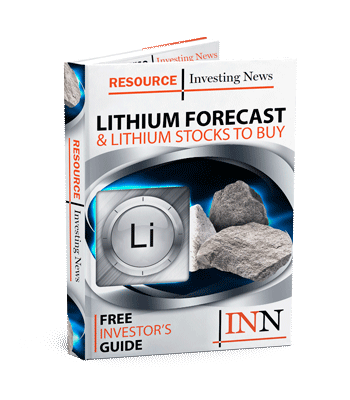 Speaking about how the market has performed so far in 2019, Fastmarkets Head of Base Metals and Battery Research William Adams said the global lithium market has been stable to slightly weaker during the first few months of the year. “[That is due to] the sharp increase in production that we started to see last year, with increased mine output in Australia and product output in China,” he said. At the same time, demand for electric vehicles remains strong. Fastmarkets is expecting compound average growth rates of 35 percent for electric vehicle demand and even higher rates of growth for energy storage systems, albeit off a lower base. “What this means is that the industry is facing many decades of extremely strong growth that the upstream supply chain may struggle to keep up with,” Adams added. During Q1, supply concerns and ramp up issues were another topic of discussion in the lithium space, difficulties that came as no surprise to lithium-focused investors. In February, Quebec-focused Nemaska Lithium (TSX:NMX,OTCQX:NMKEF) made news headlines when it announced a financing shortfall of C$375 million to develop its mine in Canada due to installation and indirect costs. “The process of bringing new lithium resources to market is difficult at both a raw material and chemical conversion level. [The market has] seen this in recent expansion efforts from the likes of SQM and Albemarle, so it’s likely development-stage companies will run into similar delays,” Benchmark Mineral Intelligence Head of Price Assessment Andrew Miller told INN at the time. Looking further ahead, the energy storage revolution will experience delays, with the key solution being investment, according to Benchmark Mineral Intelligence Managing Director Simon Moores. For Moores, the money to fund these projects will need to come from the car industry, big mining companies or oil and gas companies. Just as the second quarter started, the lithium space saw a major move in the race to secure raw materials between Volkswagen (OTC Pink:VLKAF,FWB:VOW) and Ganfeng (OTC Pink:GNENF,SZSE:002460), a major carmaker and a key lithium producer. The Chinese top lithium producer also made a US$160 million investment to develop the Caucharí-Olaroz project in Argentina, forming a 50-50 joint venture with Lithium Americas (NYSE:LAC,TSX:LAC). Meanwhile, some supply in South America was impacted by heavy rains during Q1, pushing lithium producer Orocobre (ASX:ORE,TSX:ORL,OTC Pink:OROCF) to lower its output target for 2019. In positive news for lithium production, Altura Mining (ASX:AJM,OTC Pink:ALTAF) declared commercial production at its Stage 1 Altura mine and Pilbara Minerals (ASX:PLS,OTC Pink:PILBF) at its Pilgangoora lithium-tantalum project in Western Australia. Lithium market update: What’s ahead? As the second quarter begins, there are key drivers and announcements that could impact the lithium market. According to the expert, prices will remain overall stable outside of China. “With respect to pricing, what I think you will see in 2019 and beyond — outside of China on the contract basis, prices are broadly flat, maybe they swing 5 or 7 percent up or down either way, but you are not going to see a huge swing up or a huge swing down,” Berry said. Another factor to pay attention to will be the ramp up of supply to meet the increasing demand of lithium expected in the coming years. Berry believes there’s a window of opportunity for development-stage companies with strong balance sheets, scalable assets, and sound management teams who are skilled at capital allocation in opaque markets. For Adams, after changes in China that lowered subsidies and made them available only for longer range EVs, it will be interesting to see whether there is a slowdown in EV growth rates. “Although with the changes not being fully implemented until June, there may actually be a rush of purchases in Q2, followed by a drop off in Q3. But while China cuts back on its subsidies, other countries are either increasing theirs, such as India, or are looking to do so,” Adams added. Fastmarkets also expects downstream interest in joint ventures, more offtake agreements and anticipates that merger and acquisition activity will remain strong despite weaker prices. Don’t forget to follow @INN_Resource for real-time news updates!